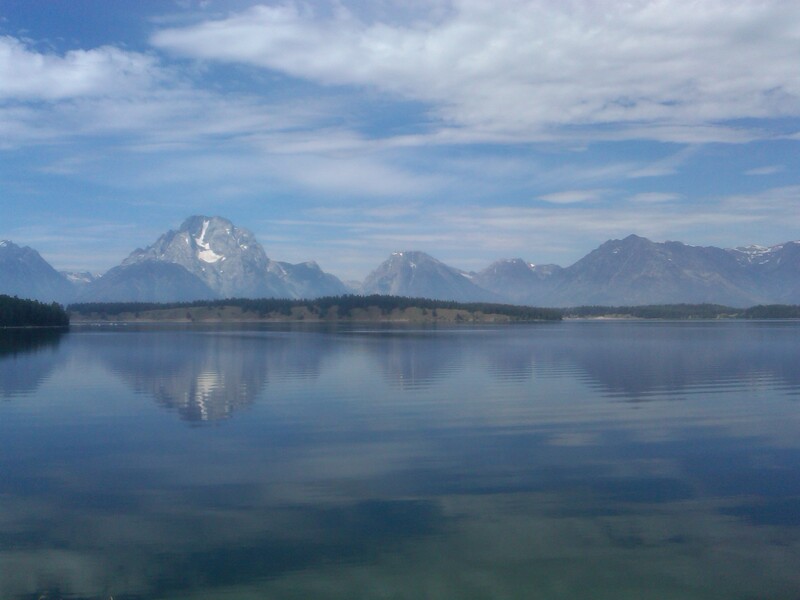 We left Yellowstone and headed for the Tetons. Darkness grew and we found no lodging until we reached Flagg Ranch. The office was closed, but security helped us find a cabin and took our payment information. 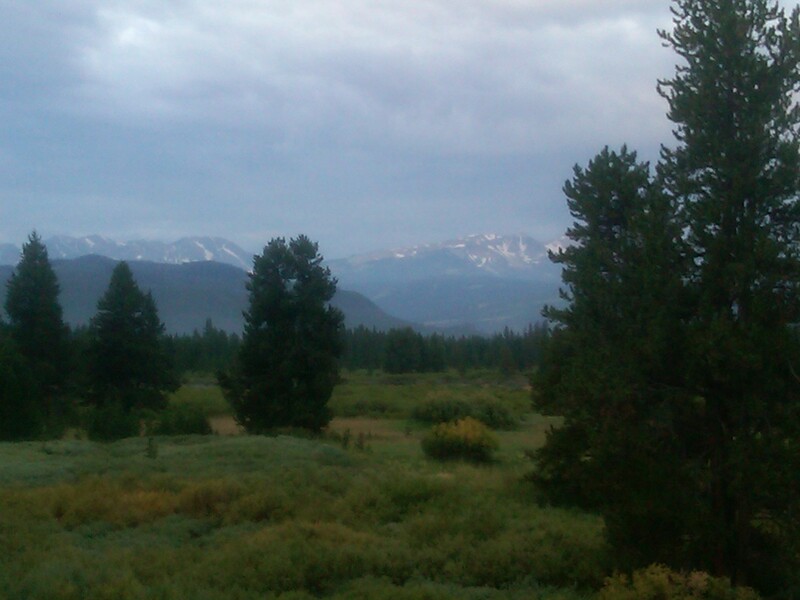 Nestled in a little grove of trees, it was without television, wi-fi, or cell service. But the end tables had books and we had some reading material as well. I walked around the little sidewalk and looked up at the clear sky, admiring the bright stars. 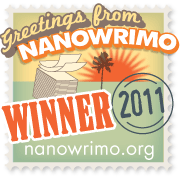 But it wasn’t until the sun came up and I stepped out of the sliding glass doors to sip my coffee in one of the rocking chairs, that I realized where I was. 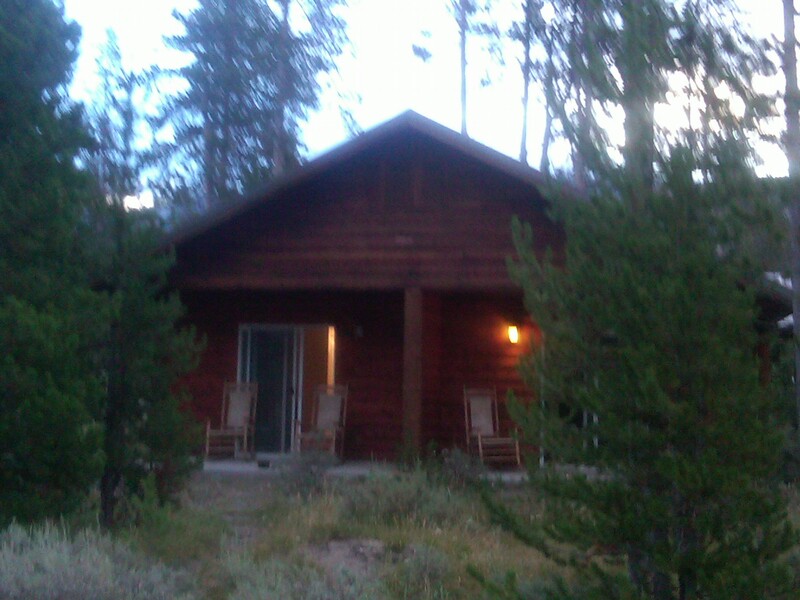 The cabin rested at the feet of the Tetons and a path through the sagebrush led away from the porch. It was also in the forties – quite cold considering it had been 107 degrees last Tuesday when we hiked through the Badlands of South Dakota. With a few extra layers of clothes and a steaming cup of coffee, we treated ourselves to a brisk walk through the clean air. We spotted some deer and nearly tripped over the swiftly darting chipmunks before walking to the lodge for breakfast. 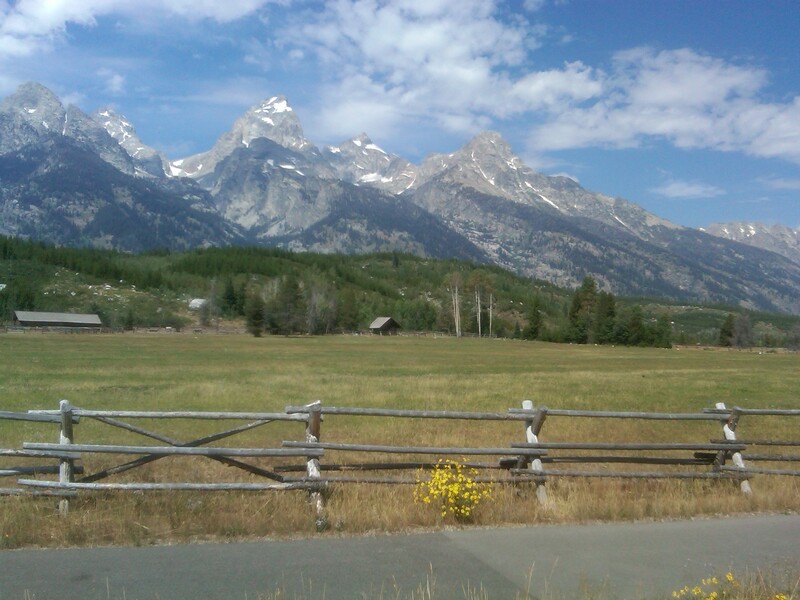 Then it was back on the road for some breathtaking driving through the scenic Teton National Park. In places lakes were so clear that the steep Mountains reflected in their glassy surface. Snow clung to the crevices though it was late August. In Colter Bay we toured the Indian Arts Museum. The collection of Native American Artifacts impressed me with the ingenuity and creativity of those who roamed this land long before us. A bow made from steaming and straightening a sheep’s curled horn and attaching a sinew was displayed alongside a necklace of grizzly claws. Yesterday’s realization of the bears’ deadly capabilities, made me appreciate the skill of the natives in using such a bow to hunt and procure their prey. Intricate beadwork, jewelry, hand woven sashes, leather craft, and bone handled weaponry filled the cases along with a headdress of porcupine and an assortment of hand brandished ball-headed-skull-busting tools, which the sign says was very effective. I’m convinced. But the wisdom I took away from the museum was their ability to use everything creatively. One necklace was made of hundreds of thigh bones from tortoises. 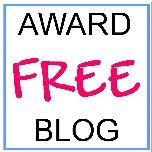 Each one reminded me of the strike arm of an old typewriter – slightly curved with a raised almost flat surface to the edge like the portion that would bear the letter. Seeds, shells, tiny pods could become useful and beautiful. We hiked down to Jenny Lake, absorbing the nearness of the mountains and inhaling the woodsy air. Rocks became chairs for those of us who could only be there for the day. We exited the Tetons and headed through the Elk Refuge for Jackson Hole – a neat little town with plenty of unique shops and dining experiences. 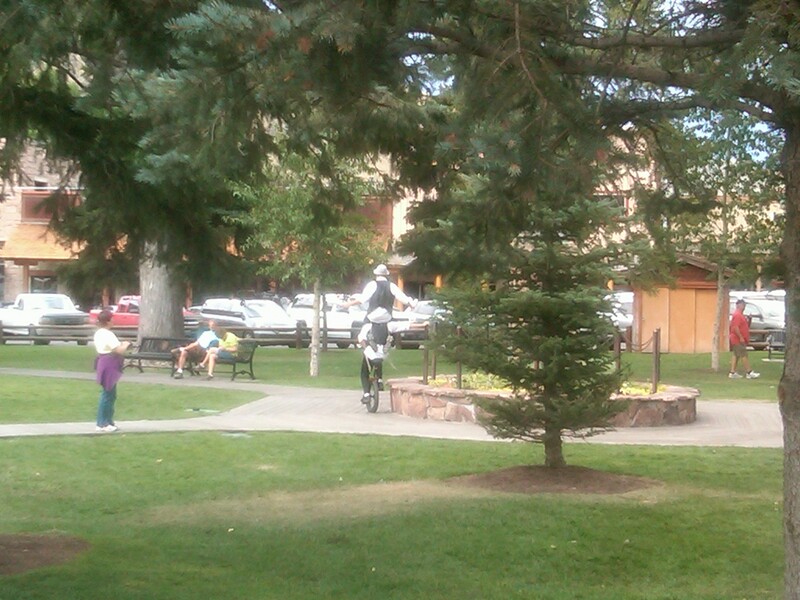 A couple of street performers entertained in the city’s central park – one on a unicycle and the other juggling what appeared to be bowling pins. 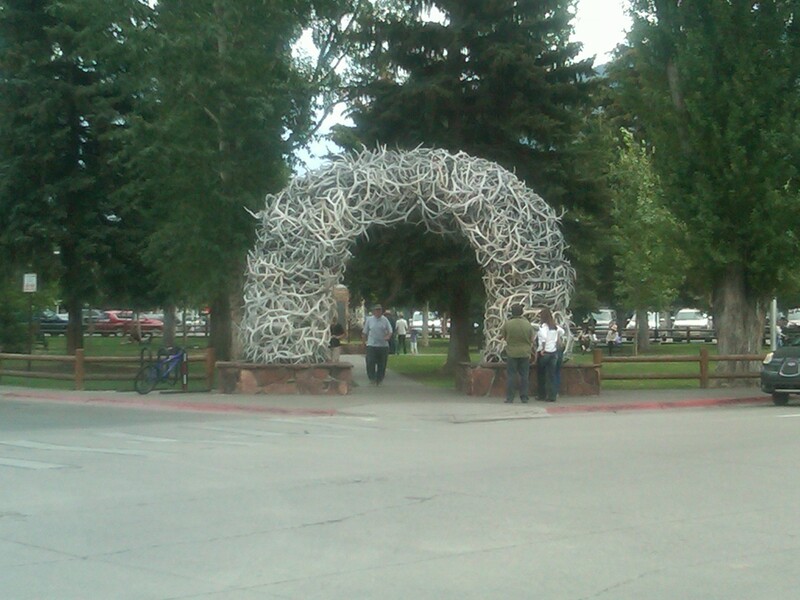 The park entrances were decorated with elk horn arches obtained from the sheds that the elk in the refuge lose each year. 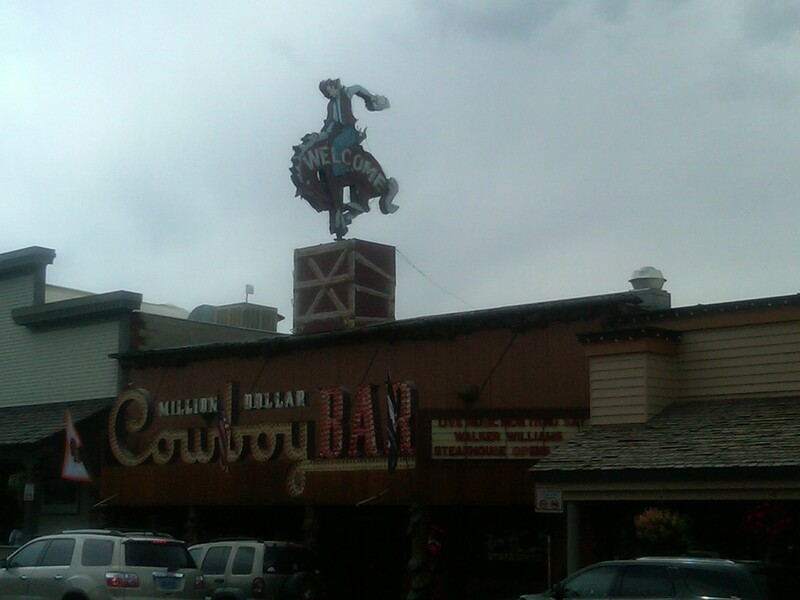 Huge bronze sculptures punctuated the streets – cowboys, animals, Mark Twain. This is the last ‘must see’ spot on our list. After a good meal, we’ll start heading east. And anything else we see will just be a bonus!